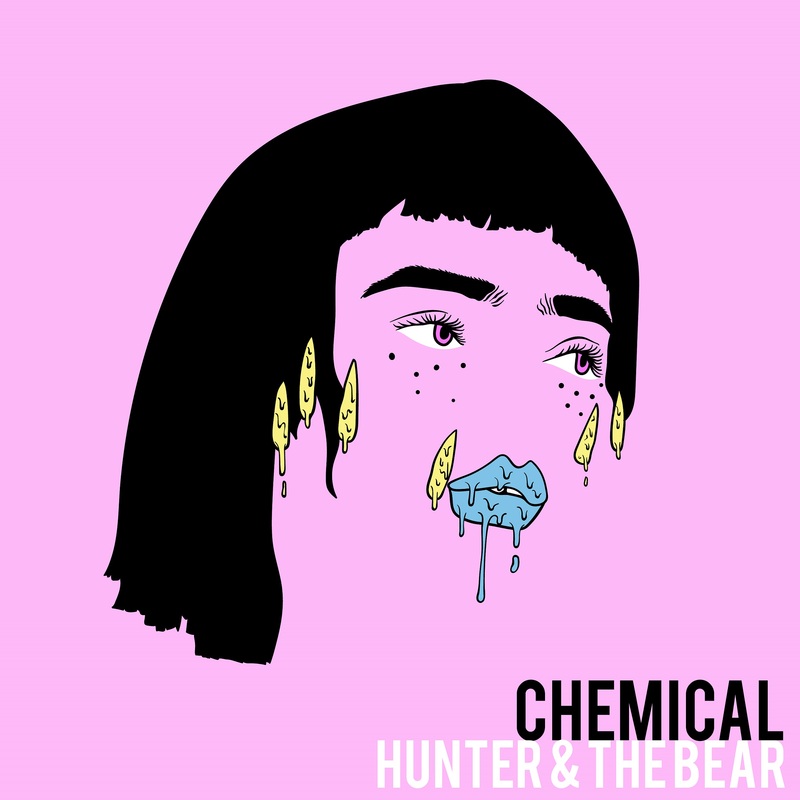 A cacophony of late-night turmoil surging with raw energy and tension, “Chemical” finds UK rock band Hunter & The Bear exploding with dark, fiery finesse. trigger warning: This video depicts moments of physical aggression. We see this as the start of a second chapter in the Hunter & The Bear story. And what a beautiful, ugly head it is. Atwood Magazine is proud to be premiering the music video for Hunter & The Bear’s energizing “Chemical,” a cacophony of late-night turmoil wrapped in passion and strain. The four-piece of Will Irvine, Jimmy Hunter, Chris Clark, and Gareth Thompson, Hunter & The Bear are a traditional rock band bent on breaking the rules. Originally from Scotland and now based in London, the group self-released their debut album Paper Heart to considerable applause; the record’s title track has over 345,000 streams on Spotify alone. Local excitement has led to numerous sold-out shows, including recent appearances at Birmingham’s O2 Institute, Nottingham’s Bodega, and Glasgow’s The Garage (in two days’ time on 20 October 2018). Shot in black and white, “Chemical” portrays the dramatic interaction of three people – two men and a woman. We watch the pressure grow until the night itself explodes, and an act of physical aggression (and what could be viewed as sexual violence) ends in pink bloodshed. The storyline isn’t entirely clear, and at times the filmic visual portrays events in reverse order – but in large part, that’s the point: Hunter & The Bear lean into this obscurity, leaving us to figure things out for ourselves. The band’s emotional, hazy lyrics add to their music’s overall interpretability, making “Chemical” that much more unique an experience, not to mention a special new addition to this relentless band’s ever-growing repertoire. It’s tempting to submit oneself to chaos. Why should we maintain our sanity when everyone around us seems to be losing theirs? 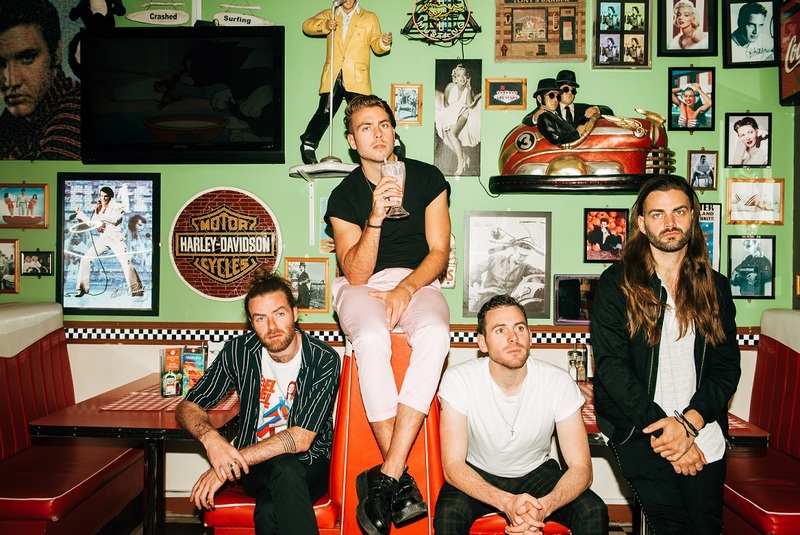 Hunter & The Bear indulge in darkness’ intense allure in “Chemical,” and what results is an enchanting thrill ride of a rock song and an equally provocative video. Stream Hunter & The Bear’s “Chemical” video exclusively on Atwood Magazine.